Every year I take part on a Dads Dance for the school that my kids dance at. Each year, we are given costumes to wear. This year, we were able to choose our own costume for the last part of the dance. 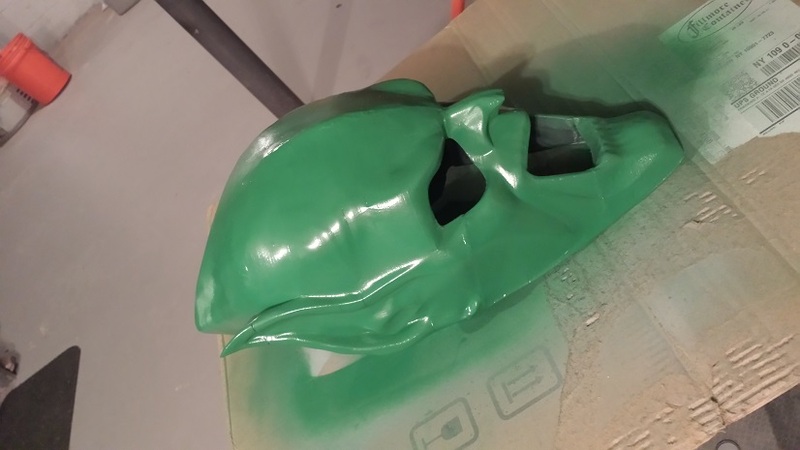 My friend Kenny came to me and asked if I could create for him a green goblin mask. Step 1 - Find a file I could work with. For this, I grabbed a pdo file located right on pepakura website. It was a good start. I showed Kenny if it was good enough and I got the go ahead. 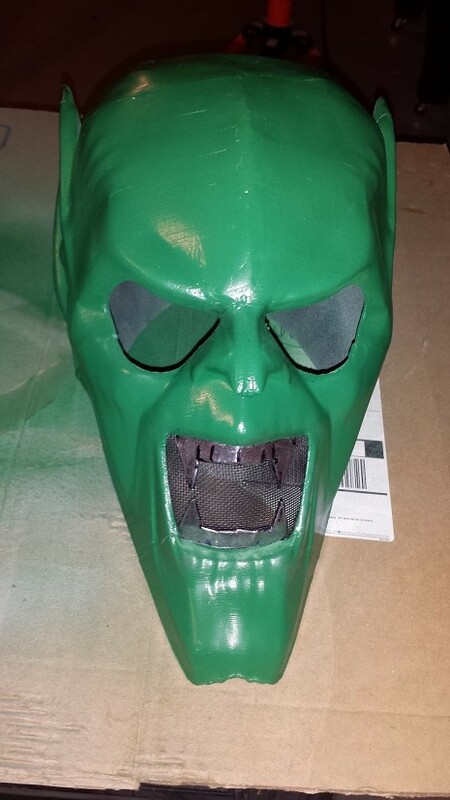 Step 2: I exported an obj file from the pdo, I was able to size the mask, and smooth it out for a more organic look. 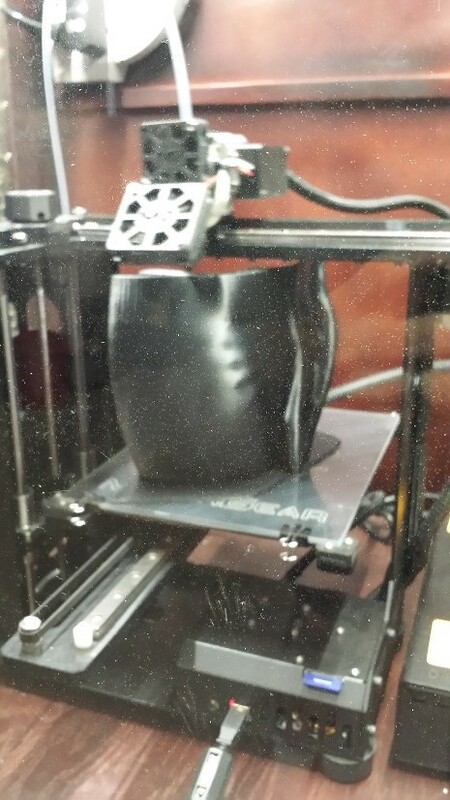 I also added depth to the structure so that it wouldn't print out paper thin. 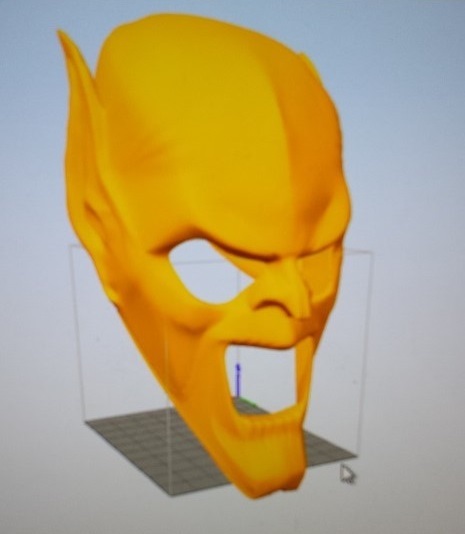 Step 3: Send the mask to makeprintable.com to fix any problems that I may have missed (or more likely caused) and get the model ready for printing. 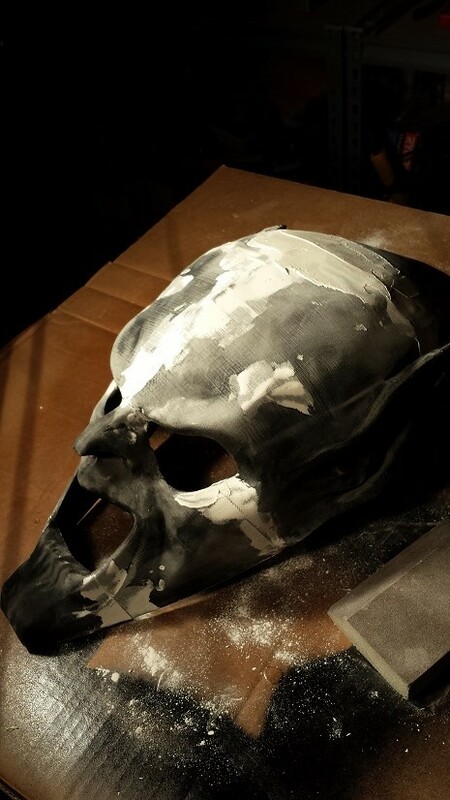 The gray area under the mask is my build area. So back into blender it goes and I needed to slice the mask up into 6 different parts. 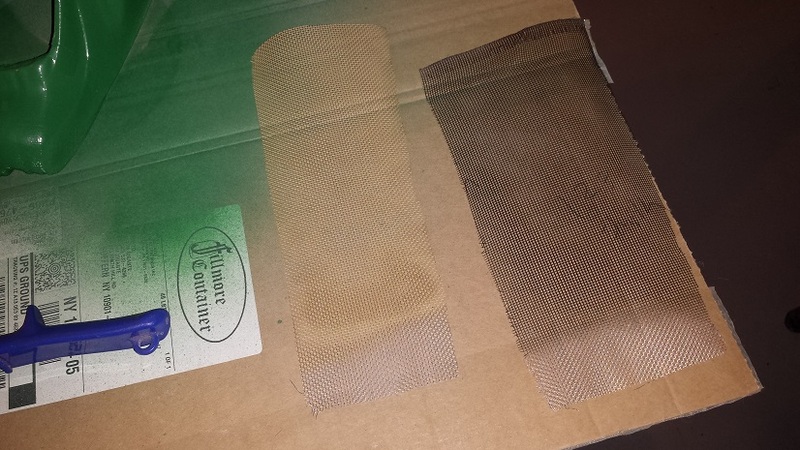 Step 7: Smooth the seams and spackle it so that they kind of disappear. 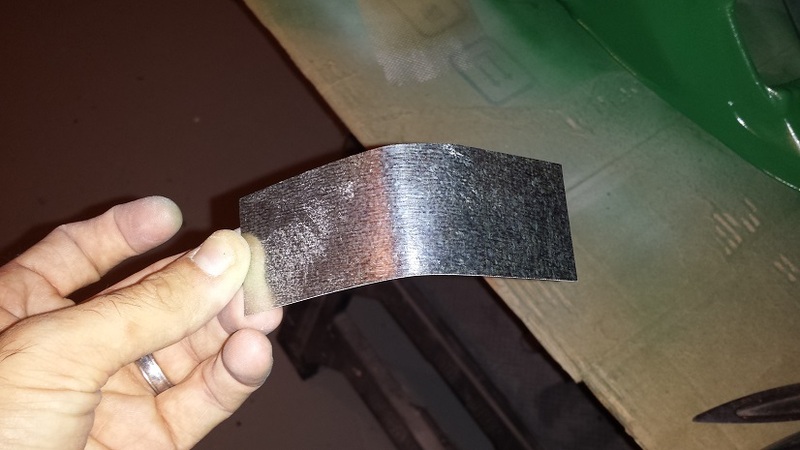 I didn't have molded glass or gold tint so I decided to paint screen door material gold to use on the eyes and black to use on the mouth. 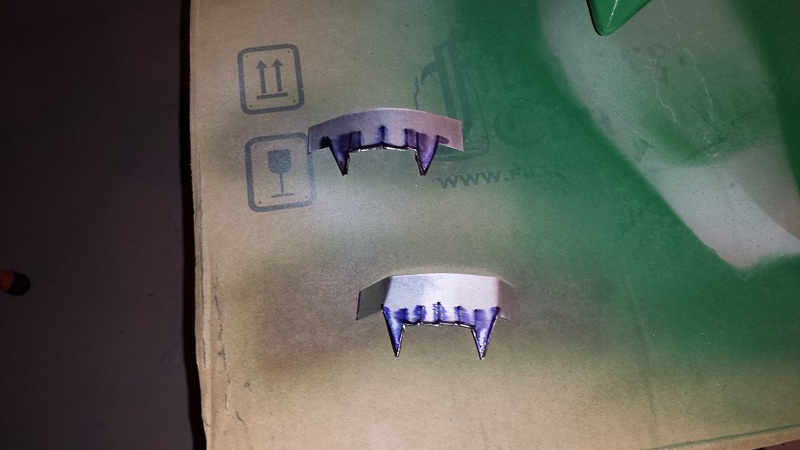 Step 10: Make some teeth out of stock 22 gauge steel from Home Depot. 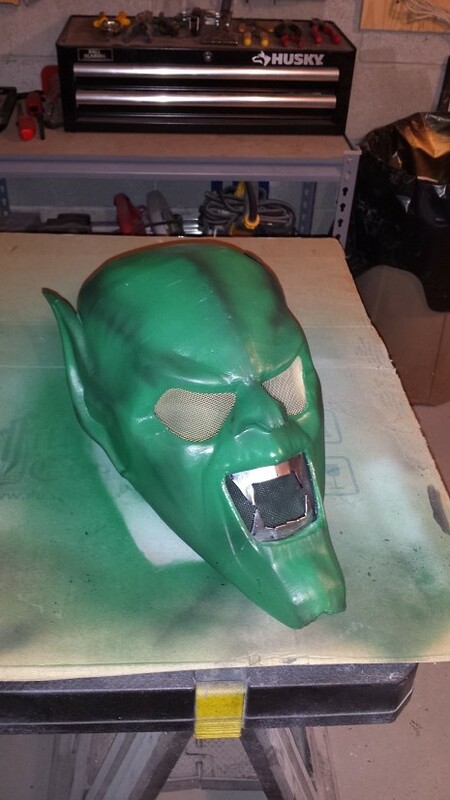 Step 12: Airbrush for that final realistic look. Just follow the ridge lines and crevices with the paint and this project is complete. End result speaks for itself. 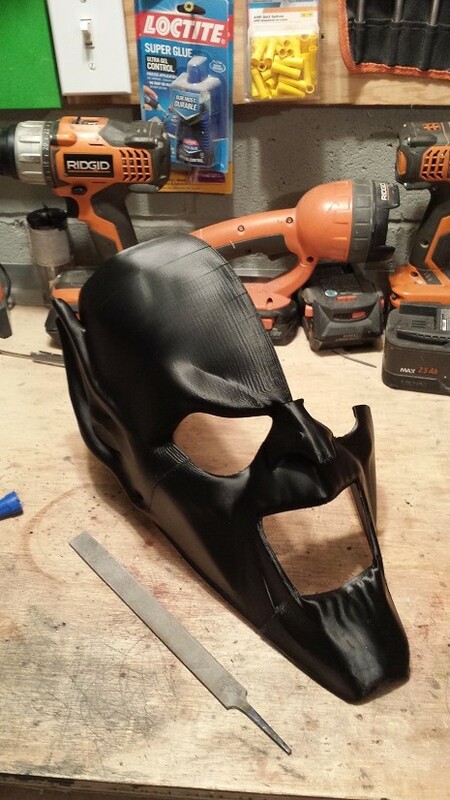 If I wasn't in a time crunch to complete this project, I would have lined the inside seams with fiber tape and bondo to really give it strength. Later.